We all hit roadblocks sometimes that can keep us from moving forward and reaching our goals. 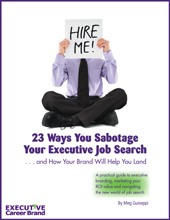 In executive job search, there are many potential pitfalls that sabotage or prolong the search. 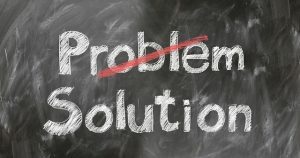 As in life, work-arounds or viable solutions almost always exist. First, accept that ageism exists and give up the notion that you can hide your age. Anyone can easily find your age within the first several pages of search results for “your name”, now that such personal information exists about each of us online, on numerous aggregator sites. But don’t despair. There are plenty of employers out there that respect and seek seasoned candidates with the wisdom that only comes from years of overcoming the tough business challenges. Do the personal branding work to define your unique value proposition. Circumvent the gatekeepers and network into the goldmine of hidden jobs. Dispel the concern that you’re out of date with the digital age. 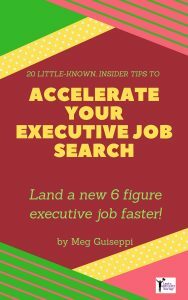 For details, read How to Conquer Ageism in Executive Job Search. 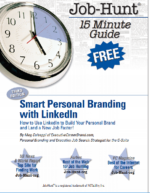 Yes, executive recruiters and others assessing you through your LinkedIn profile and executive resume may red-flag you if they see long stretches of time unaccounted for . . . especially if that gap is current. They’re typically more attracted to employed candidates. It’s best to plan ahead to accommodate or shorten potential gaps, before they happen. But, if such preemptive tactics are not possible, there are ways to downplay employment gaps. 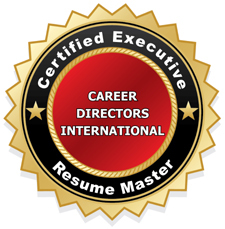 For more information, read How to Deal With Employment Gaps in Your Resume and LinkedIn Profile. Do you know about the potential resume black hole – Applicant Tracking Systems (ATS)? ATS were developed to deal with the overwhelming number of resumes executive recruiters and employers receive these days for openings posted on job boards and company websites. But job seekers need executive recruiters and job boards to get a job, right? Recruiters are a source for jobs, but they, too, don’t provide a great success rate, so you can’t heavily rely on them to get you a job. And job boards yield dismal results. Something like only 10-20% of $200K+ jobs are advertised anywhere. Therefore, I recommend spending very little time on these strategies. 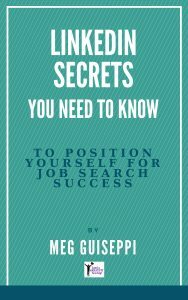 Instead, network your way into the “hidden” (or unadvertised) jobs at your target companies . . . circumventing the gatekeepers and therefore ATS, for as long as you can. Get all the skinny in my post Executive Resume ATS: What You Need To Know. If you’re employed, but looking to move on for various reasons, you probably can’t broadcast that you’re actively seeking opportunities . . . on LinkedIn . . . or anywhere online . . . or to too many people. But, you’ll probably need to add to, or change, the content in your LinkedIn profile to position yourself as a good-fit candidate for your target employers. And you’ll need to ramp up your activity on LinkedIn. Accomplishing this, while staying undercover, doesn’t pose a major challenge, but it does require stealthy strategy, and an understanding of how LinkedIn works. For the full strategy, check out 5 Ways to Keep Your Executive Job Search Confidential on LinkedIn. You may understandably struggle with putting yourself “out there” when building your online footprint – a necessity in today’s executive job search. Of course, you need to be careful about the content and information about yourself you post online. That content will be prey to nefarious people, as well as legitimate people. But without a strong, diverse online presence promoting your personal brand, you may be invisible to the very people who can help you reach your career goals. Striking the right balance takes a well-planned social media strategy and savvy about what post and NOT to post about yourself. For all the details, see my post The Online Safety and Privacy Dilemma in Executive Job Search.